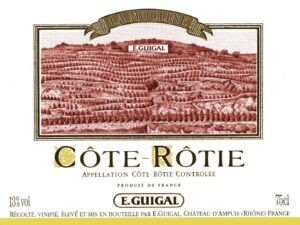 Ettienne, the “E.” in E. Guigal, was the grandfather of the current head of the enterprise, Philippe Guigal. Phillippe was in New York to present the wines to trade and consumers a few weeks ago. 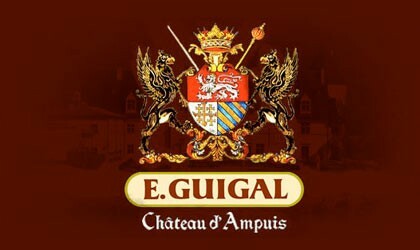 Ettienne started Guigal in 1946 just after the Second World War. 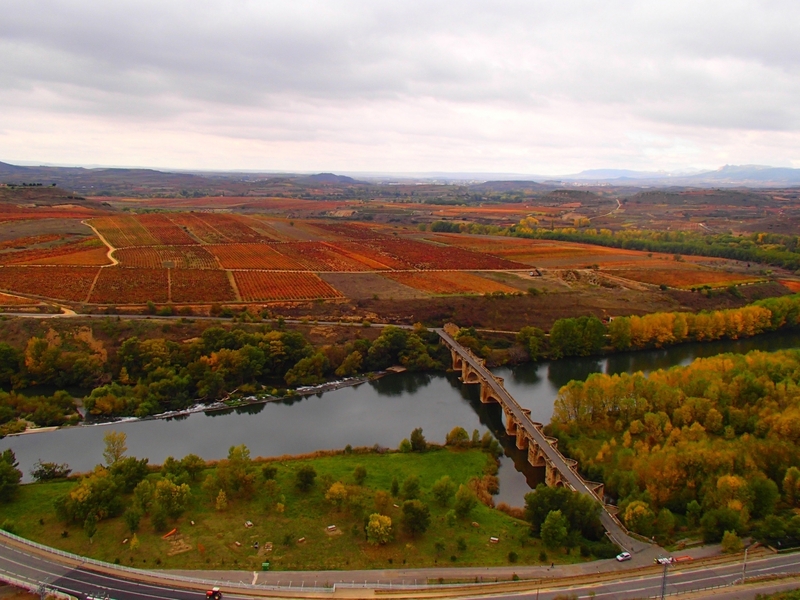 France was in tatters and the Northern Rhone was mostly an afterthought. 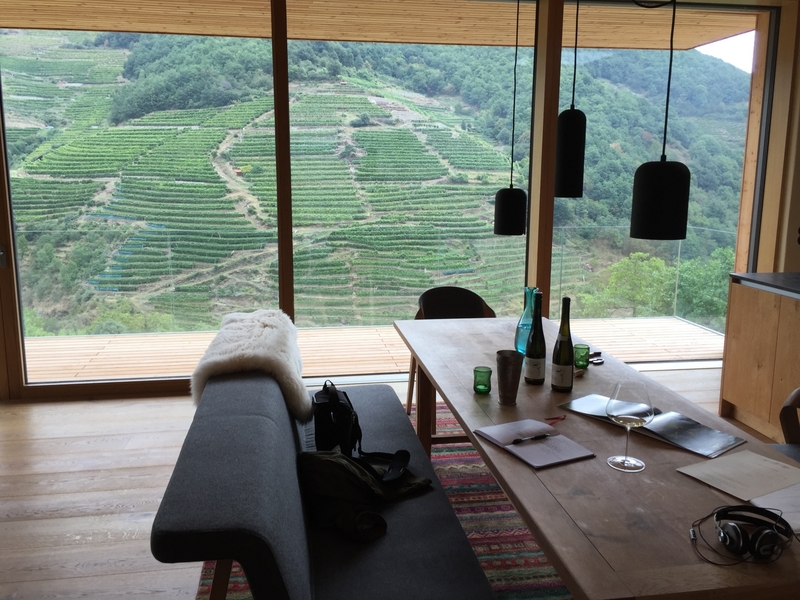 Viognier in Condrieu was on the brink of extinction and the old guard of Rhone producers were making wine but few outside of France knew of them. Marcel, Ettienne’s son, took over in 1971. Ettienne, sadly, went blind and as you can imagine on those steep Cote-Rotie vineyards it is hard enough to navigate with good vision. 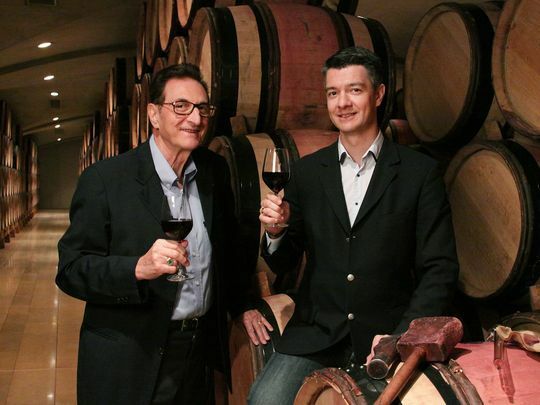 Philippe then started to work with his father in the early 1990s and officially took over in 1997. The family has steadily grown production all the while increasing quality. 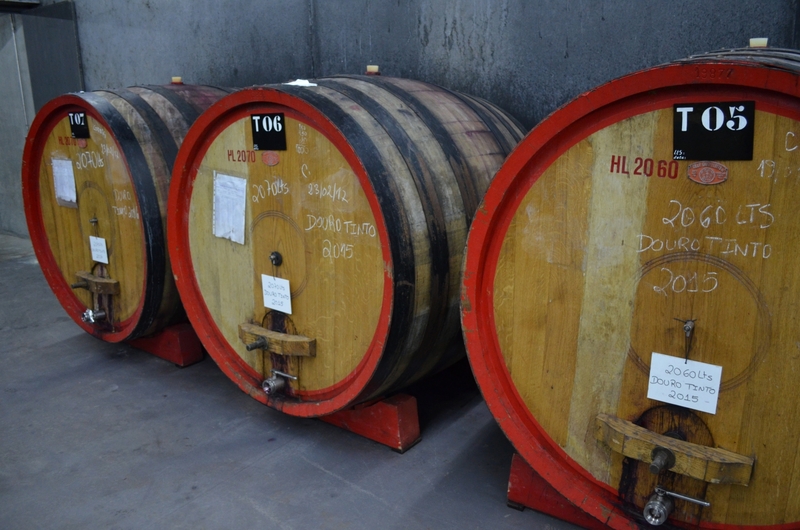 Not surprising given their sometimes controversial predilection for oak, they have their own cooper and are considered masters of using new or seasoned French oak in their wine production. For the record, what I tasted was indeed noticeable with oak but rarely in an intrusive way that blocked other aspects of the wines. Rather, they enhanced or will prove to further enhance with years of integration, especially on the red wines and the whites made from Marsanne and Roussanne. The reds were firm and very young, showing a tight nit personality that is fresh, dense and long. 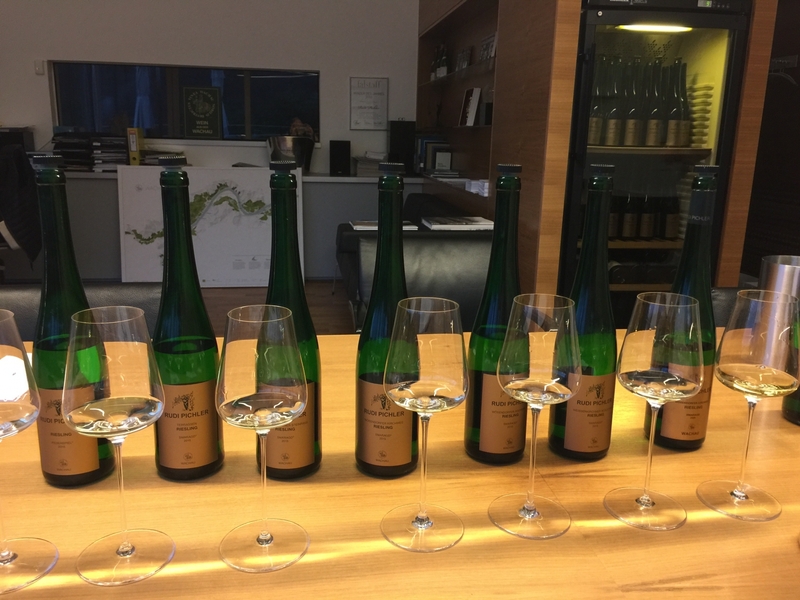 These were gorgeous wines that given the vintage had a little extra lift in the aromatics and the palate. Classic Syrah (some with a classic Cote-Rotie dollop of Condrieu Viognier) notes of red fruits like raspberry and currants, smoked meats, spices like peppercorn and cedar rose from the glass with agitation from swirling. Florals from the Viognier of white flowers and honeysuckle, while in others lavender or violets with the influence from the Syrah were perceptible. Juicy and sappy fruits got more dense and powerful up the La La ladder, along with the structure. Chateau d’Ampuis is exactly that, a few selections of Cote Brune and Cote Blonde from the village of Ampuis which is the main village of Cote-Rotie. 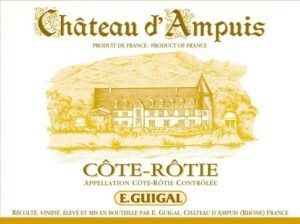 In fact, the property Chateau d’Ampuis was originally the site of a famous wine from centuries ago. The Guigal family spent 15 years restoring it to bring it back to life at the foot of the Cote-Rotie slopes of Ampuis. The La La’s as they are affectionately known, are the three single vineyard wines La Mouline, La Turque and La Landonne. 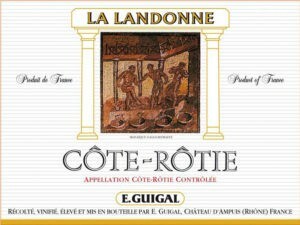 For those of you that don’t know Cote-Rotie is split into two sections, the Cote Blonde and the Cote Brune. La Mouline is in the Blonde, Landonne is on the Brune, while La Turque straddles both. Full tasting notes on these and the other wines are below after the article. 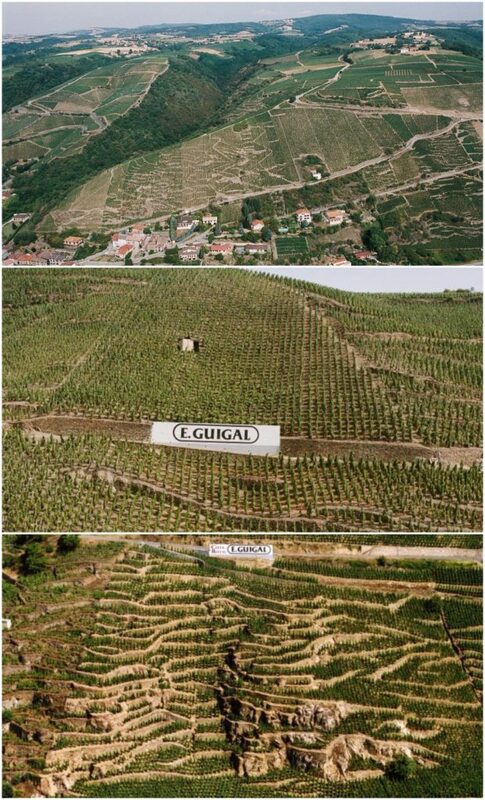 The La-La Vineyards of E. Guigal: La Mouline, La Turque, and La Landonne. 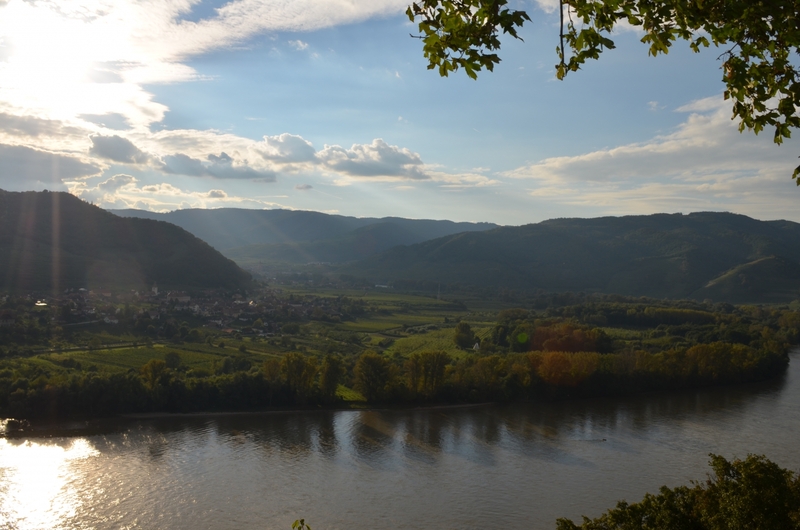 In Hermitage, the Guigal family have prominent holdings across various parts of this great hill that gets its name from an old legend of a former soldier returning from the Crusades and became a lonely “hermit” that built a Chapel at the summit. 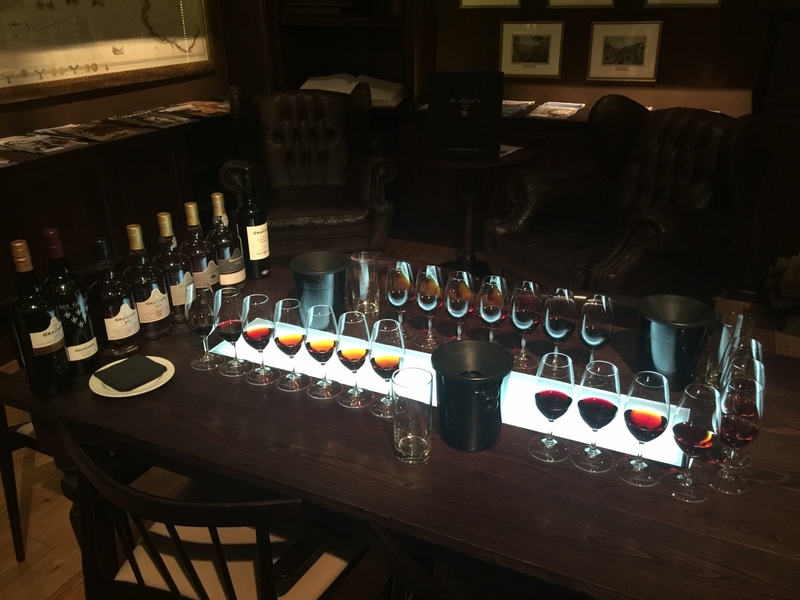 Today it was the 2014 white, the 2014 ExVoto white and 2013 ExVoto red to examine. The whites here lean heavily on Marsanne with Roussanne, if used at all, a smaller portion of the blend. The Hermitage sites came later in the life of the Guigal enterprise, having started in Cote-Rotie, Philippe said it was always a special goal to attain some great vineyard property in Hermitage. 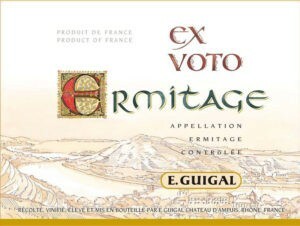 While certainly a different take then more traditional Hermitage producers, regular Hermitage white and red I tend to find priced very well and offer a more traditional take on Hermitage than the ExVoto. The ExVoto are more specific in their expression, more site-driven, that also take more time in bottle to age into their mature best. 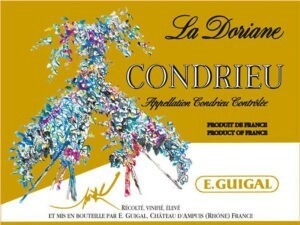 In Condrieu, the eternal home of Viognier, we have the Condrieu and Condrieu La Dorian. I have a special place in my heart for this grape, being the first one that captured the excitement of two young wine drinkers, Lisa and I, 10+ years ago trying as many kinds of Viognier we could after being smitten by our first taste of this magnificent grape. 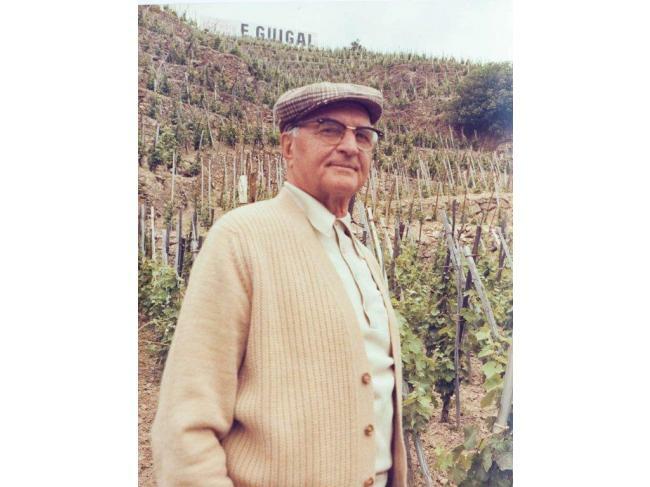 Ettienne Guigal is credited with helping to resuscitate Viognier as it was on the verge of extinction and to this day in the Rhone, there is no other producer that has more holdings or access to Viognier holdings across the Rhone. In fact, a hot tip is their Cotes du Rhone balance which can have in excess of 50%, typically in the 60-65% range. This gives the wine a “baby Condrieu” kind of feel and is very rare to see this much Viognier in a Cotes du Rhone. It is also a screaming value at about $15 (usually less) retail. 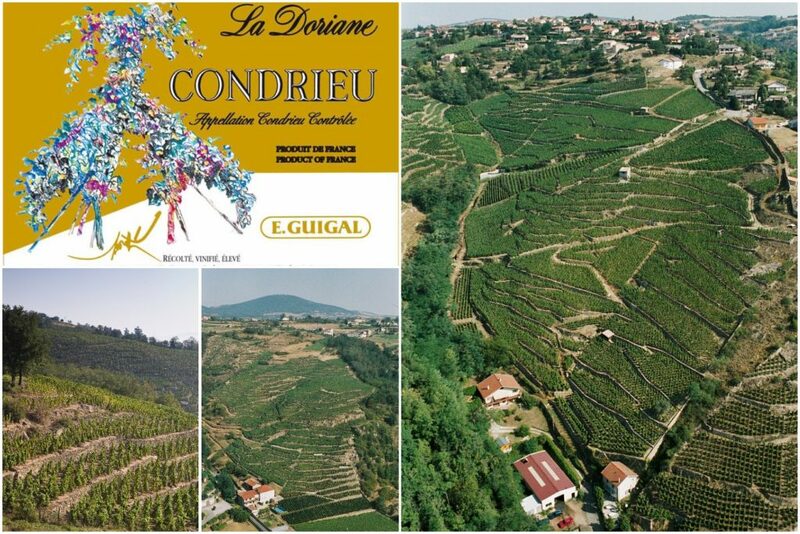 Both Condrieu 2014s showed very well, showing the classic notes you expect with a spine of tension and minerality sometimes lost in this grape but comes through very well here in 2014, as it should based on the vintage and careful growing. 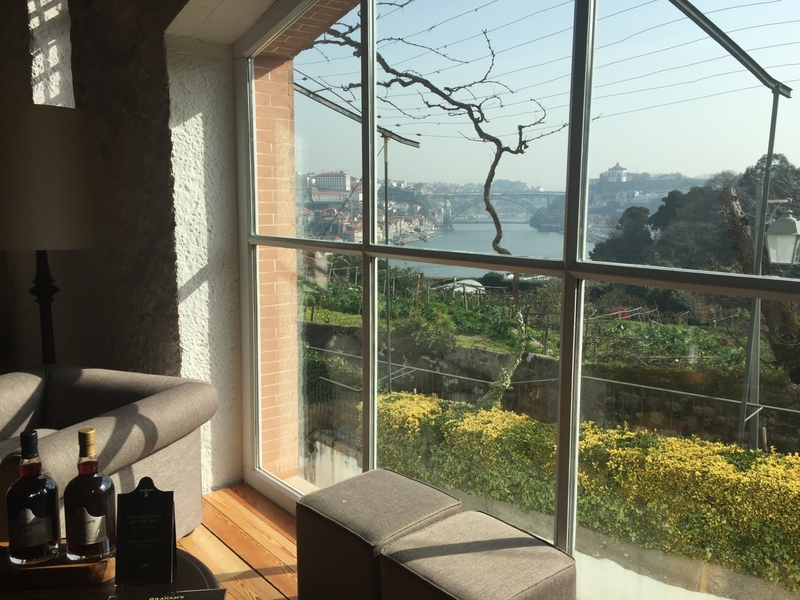 Even the oak comes across less intensely sweet, more aromatic, especially at 100% for the Doriane. 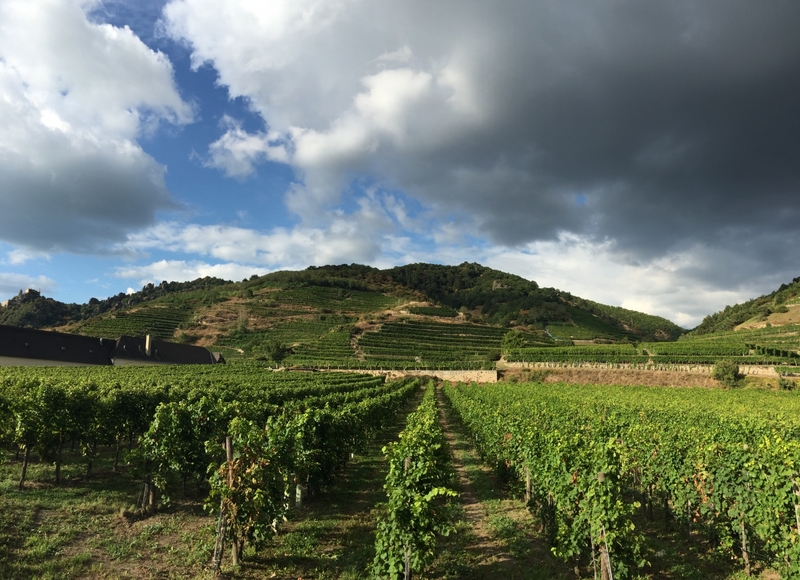 La Doriane and a 3 of the 4 different parcels: Côtes Chatillon, Coteaux de Chery, Colombier, and Château Volan. 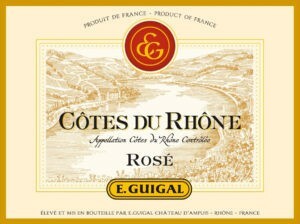 Should you find yourself in the Rhone, or looking to experiment with different appellations, you can do so here with most of the Guigal wines as they are reasonable at the top end for the appellation wines, and a bargain for the more affordable lesser known appellation wines or the regional wines. People knock them for using a lot of oak and their production size, but you I find that unreasonable as the quality is always high and from what I tasted the oak is an accoutrement, enhancing the wine and helping the best wines to evolve over a long arching life to maturity. Roasted almond, pear, green melon rind, honeydew, with a creamy and tested note hanging in from the oak, longer citrusy finish. With time that oak blew right off. Floral and dense nose, slightly reduced? Waxy and tight nose. 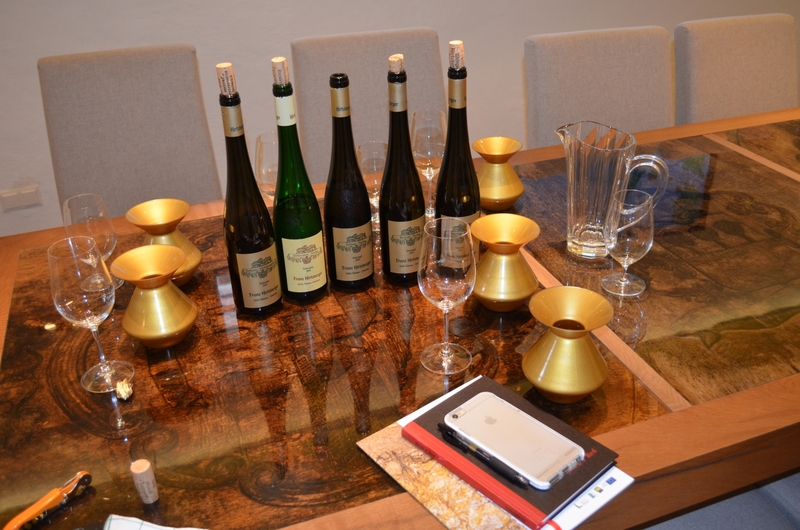 .3 g/L RS, wild yeasts, really long and dense finish….2-3 years tops aging in bottle. Plenty of oak, with dense and driving Lemon, and lemon rind, toasted nuts, mineral, and excellent acidity. Long and persistent finish. Clean with more time needed to integrate that oak. Again intense and firm nose, less oak here now apparent, Dense and muscular body, nuts, savory, elegant white flowers, saline, loads of minerality, lime more lemon with a penetrating and persistent palate and finish. Dry and very pure. Insanely complex and intense with remarkable aging potential. Pure red crushed juicy and sappy fruits, raspberry, currants, with smoke meats and peppercorn. Juicy and sappy acidity, with firm tannin and energy on the palate. The finish is a little short. Dense and very aromatic, but focused with deeper red fruit notes, cedar, tobacco, raspberry, creme d’cassis, with a deeper sense of place here, transparency. Firmly structured and intense finish, fresh with good acidity. 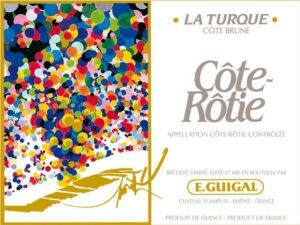 Spicy and intense, with very firm tannin and very good acidity. Deeper red plum, smoke, toast and meat. Herbal and spice, peppercorn, garrigue. A total spice box! 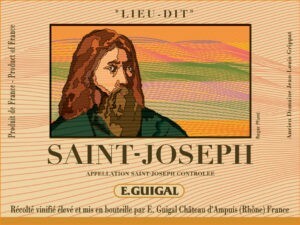 Intense and pure Syrah, ripe and red sappy fruits, peppercorn spice and a deep sense of earth and minerality. 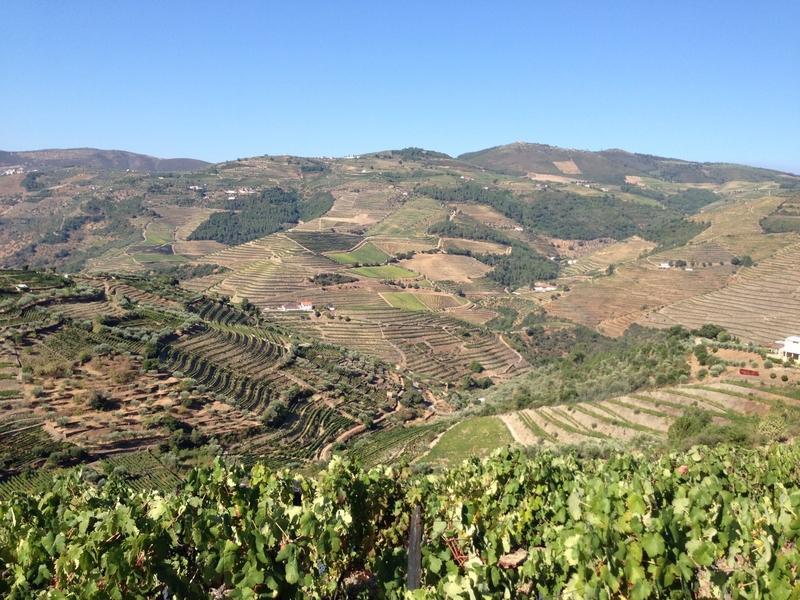 Dense and deep, darker red fruits with a massive wall of tannin. A crazy long and intense finish is a bit tight right to now but shows great acidity and weight. Not heavy or viscous in any way.